And we continue with the news on upcoming new historical TV series today as well, people! A month or so ago I informed you that BBC is preparing new television adaptation of famous POLDARK 18th century novel saga by Winston Graham in which the lead role will go to THE HOBBIT's Aidan Turner, and now he's got himself a female lead too. Gorgeous British actress Eleanor Tomlinson (she played princesses in both JACK THE GIANT SLAYER and in WHITE QUEEN) will play Demelza! The eight part series will be set in 18th century Cornwall following the story of the rebellious Ross POLDARK as he returns from the American War of Independence to Cornwall, only to find that his old world is ruined: his father is dead, the family mine long since closed, his house wrecked and his sweetheart pledged to marry his cousin. But Ross finds that hope and love can be found when you are least expecting it in the wild but beautiful Cornish landscape. 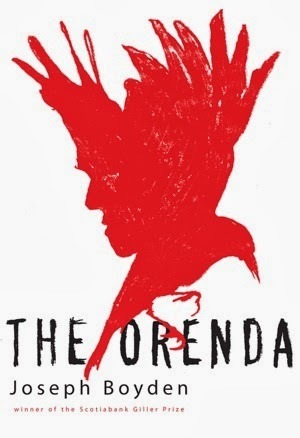 Here's another possible historical series: Joseph Boyden's 2013 novel THE ORENDA will be turned into a TV series. The Canadian novel will be released in USA this May. It is a period drama set in the 1600s in which the story follows an Iroquois girl, a Huron warrior and a Jesuit missionary during the first point of contact between Native Americans and Europeans and illustrates how North America emerged from this world in flux. 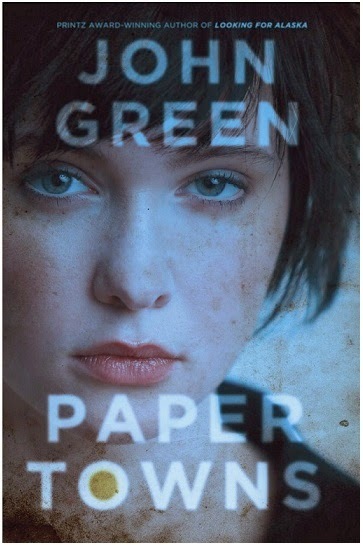 TO GET A MOVIE ADAPTATION! This Sunday we're featuring a number of book adaptations which will happen in the future. 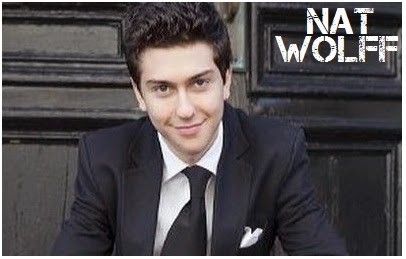 Later this summer we shall watch the movie based on John Green's bestselling novel THE FAULT IN OUR STARS, but he already has another project ready to be turned into a movie: the plan is to adapt his PAPER TOWNS with the idea to use Nat Wolff as the lead star. He already stars in FAULT IN OUR STARS movie. PAPER TOWNS follows Quentin, a young man who shared a jarring experience with his neighbour Margo: They found a man who committed suicide. They grew apart, but one night he finds her at his bedroom window, dressed like a ninja. She enlists him in a campaign to get revenge on people who’ve hurt her. Next day, she vanishes as he is left to ponder the ramifications of the evening. Then he begins getting clues from her and has to follow them. 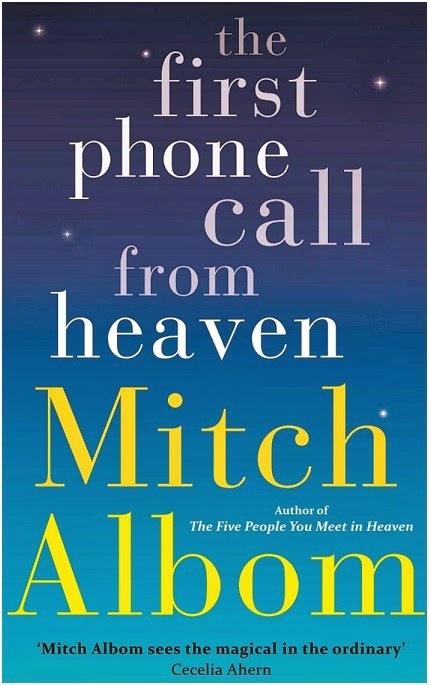 Another book to get its big screen version is Mitch Albom's bestseller FIRST PHONE CALL FROM HEAVEN! Warner Bros. will adapt the uplifting book which opens on a morning in the small town of Coldwater, MI, when the phones start ringing and the voices say they are calling from heaven. While each call is greeted differently, some with love, some with religious zeal, some with fear, a grieving single father with an inquisitive and hopeful son takes it upon himself to uncover whether these callers are hoaxers, or they are really dialing long distance! Now, I have to admit that I had a great displeasure of translating one of Wilbur Smith's books for the readers in my country (I was appalled to find out he promotes cultural, religious and political prejudices towards Muslims in his book) but maybe this one is a better one? 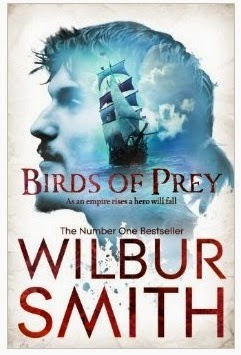 His novel BIRDS OF PREY will be turned into TV series by Freemantle Media. Set against a backdrop of the uncharted Africa of the 17th century, the story chronicles the lives of a family as they battle to secure the clan’s fortunes in a place where sea-faring empires, privateers, wild animals and settled African tribes and nations fight it out for control of the land and its treasures. The series will begin in 1667 with the family landing in Africa, led by 17-year-old protagonist Hal. FRENCH SATURDAY: FRANCOIS ARNAUD JOINS MAGGIE Q IN EPIC PIRATE SERIES 'RED FLAG'! 'THE PLAYERS' TRAILER WITH JEAN DUJARDIN! 'WORDS AND PICTURES' TRAILER WITH JULIETTE BINOCHE, CLIVE OWEN! Earlier this year I announced new historical mini series RED FLAG with Maggie Q playing the queen of Chinese pirates and now she's got herself a partner - THE BORGIA's French star Francois Arnaud! Set in the early 1800s the series centres on Ching Shih (Maggie Q), a beautiful young Chinese prostitute who goes on to become one of history’s most powerful pirates and head one of the most successful crime syndicates in China. With over 100,000 sailors and 1500-plus vessels, Ching controlled the South China Sea while taking on the Imperial Chinese navy, the Portuguese navy, and the all-powerful British navy to eventually conquer them all. Francois Arnaud will play Carlito, the Portuguese sailor and bounty hunter engaged to hunt down and capture Ching Shih. He has no loyalty and takes from everybody to kill Ching Shih, and soon becomes her lover. Two trailers with French stars for you today! Starting with the one for THE PLAYERS which stars Oscar winner Jean Dujardin and comes to theatres April 4th! The movie is an omnibus feature consisting of eight short films dealing with infidelity, and some of them directed by the actors themselves. Eight short films explore the subject of male infidelity. Serial cheaters, Fred and Greg, spend a night on the town doing what they do best, and with absolutely no regrets. The duo play various characters in assorted extracurricular situations, ranging from sexist to the darker sides of carnal desires. Your second trailer for today stars another French Oscar winner - Juliette Binoche next to Clive Owen in a romantic comedy WORDS AND PICTURES! To be released into US cinemas this May the movie will see the two of them playing a writer whose talent has dried up, and an artist struggling to paint as her body betrays her (according to 'Deadline' Binoche’s own artwork appears in the film). The two clash at the prep school where they teach, sparking a flamboyant courtship and a school-wide war over which is more powerful: the word or the picture. It is interesting that before this you will see Binoche in GODZILLA this May, which is the strangest movie choice for her. Clive Owen will lead the cast in KNICK historical TV series later this year. STORMY 'INTO THE STORM' TRAILER WITH RICHARD ARMITAGE! FIRST 'TEENAGE MUTANT NINJA TURTLES' TRAILER IS HERE WITH MEGAN FOX & WILL ARNETT! THERE'S NO CALM BEFORE STORM! 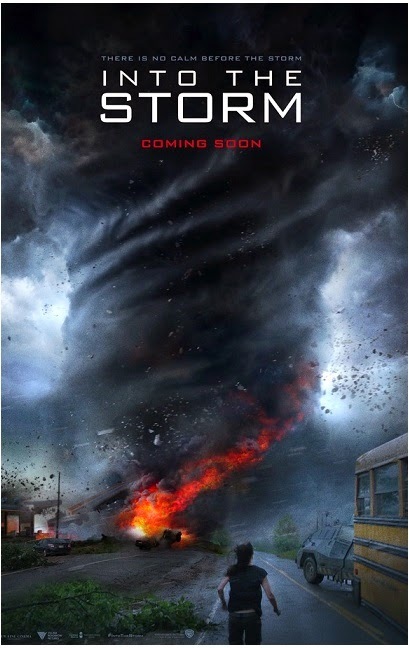 Two action packed trailers for you today, starting with the one for a disaster movie INTO THE STORM starring THE HOBBIT's Richard Armitage, THE WALKING DEAD's Sarah Callies beside Jeremy Sumpter, Nathan Kress, Matt Walsh and Kyle Davis. Storming into cinemas August 8th and taking an all airport of airplanes into air as if they're nothing but toys, this mix of TWISTER and PARANORMAL ACTIVITY revolves around a group of high school students who document a devastating tornado attack over in the USA. The week of brand new trailers for summer blockbusters continues today as well with the first clip from TEENAGE MUTANT NINJA TURTLES! Maybe the world needs it, maybe it doesn't, but the film will ninja its way into cinemas this August! The city needs heroes. Darkness has settled over New York City as Shredder and his evil Foot Clan have an iron grip on everything from the police to the politicians. The future is grim until four unlikely outcast brothers rise from the sewers and discover their destiny as Teenage Mutant Ninja Turtles. The Turtles must work with fearless reporter April and her wise-cracking cameraman Vern Fenwick to save the city and unravel Shredder's diabolical plan. 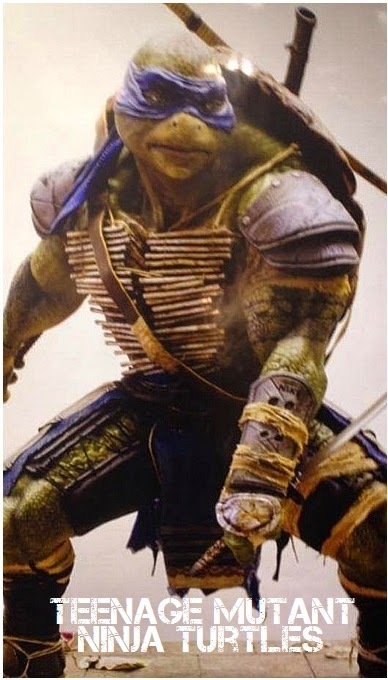 Alan Ritchson is Raphael, Pete Ploszek is Leonardo, Jeremy Howard is Donatello, Noel Fisher is Michelangelo, Danny Woodburn is Splinter, reporter April O'Neil is played by Megan Fox while Will Arnett is photographer Vernon Fenwick! Just listen to this mindblowing cast: Damian Lewis and Jeremy Northam have just joined the cast of OUR KIND OF TRAITOR which already includes Ewan McGregor and Stellan Skargard! The big screen movie adaptation of John Le Carre's novel started shooting yesterday in United Kingdom. As 'Deadline' reports Hossein Amini adapted the thriller about an English couple who embark on a tortuous journey after a chance meeting with a Russian millionaire. Naomie Harris is also in the ensemble! In TV news, AMC has found directors for two of their upcoming new shows. Brian Percival (DOWNTON ABBEY, THE BOOK THIEF) will helm the pilot for KNIFEMAN, the drama about a charming, arrogant surgeon who robs graves and harvests organs in 18th century London. David Mackenzie (PERFECT SENSE) will direct GALYNTINE, fantasy-action adventure show set in a postapocalyptic future without technology where a band of survivors is forced to adapt to isolation and the challenges of their new world. 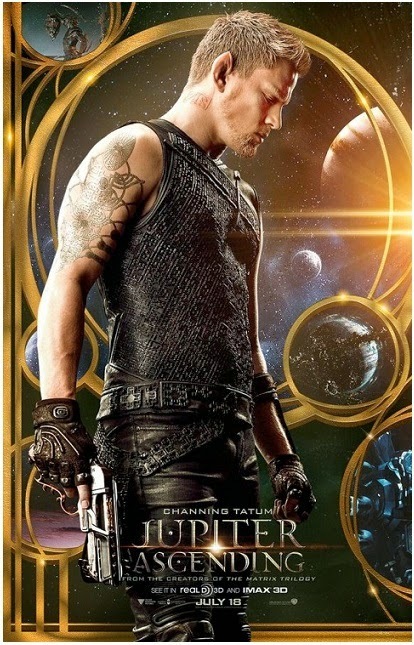 Your main treat for today are gorgeous posters for science fiction adventure JUPITER ASCENDING with Channing Tatum and Mila Kunis! Coming to theatres this June it follows Jupiter Jones (Mila Kunis), who was born under a night sky with signs predicting that she was destined for great things. Now grown, Jupiter dreams of the stars but wakes up to the cold reality of a job cleaning toilets and an endless run of bad breaks. 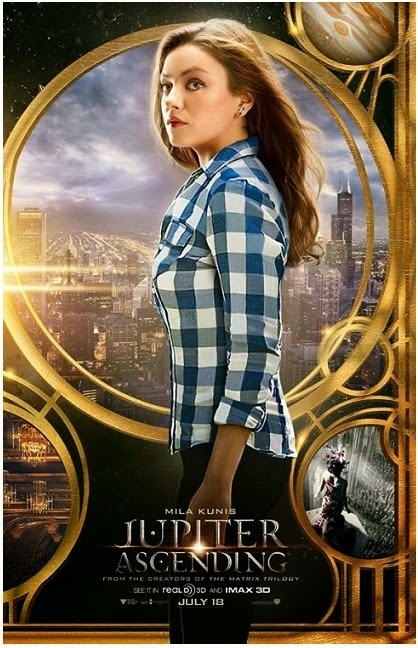 Only when Caine (Channing Tatum), a genetically engineered ex-military hunter, arrives on Earth to track her down does Jupiter begin to glimpse the fate that has been waiting for her all along - her genetic signature marks her as next in line for an extraordinary inheritance that could alter the balance of the cosmos. The cast also includes Douglas Booth, Sean Bean, Eddie Redmayne, James D'Arcy! STUNNING FIRST TRAILER FOR 'HERCULES' EPIC ADVENTURE WITH DWAYNE JOHNSON, RUFUS SEWELL, IAN MCSHANE, REBECCA FERGUSON, JOSEPH FIENNES, JOHN HURT, IRINA SHAYK! 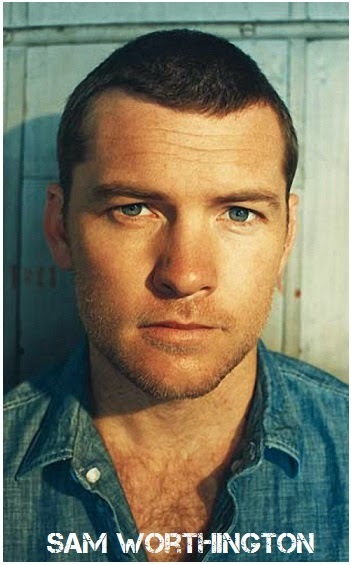 SAM WORTHINGTON, JAKE GYLLENHAAL, EMILY WATSON IN 'EVEREST'! 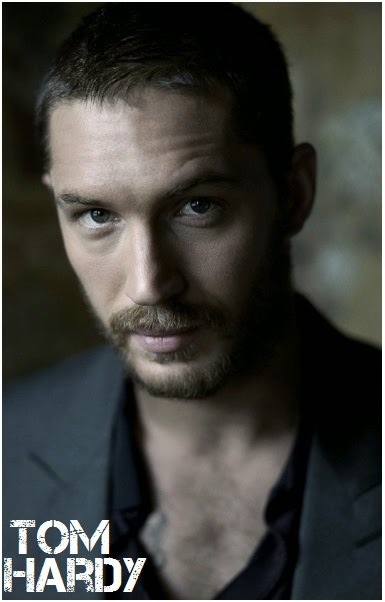 You already know that Tom Hardy is shooting a film about scaling famous Mt. Everest, but there is also a rival project EVEREST over at Universal Pictures which has just added Sam Worthington and Robin Wright to its cast which already has Jake Gyllenhaal, Jason Clarke, Josh Brolin, Martin Henderson and Emily Watson. The movie is based on Jon Krakauer's book INTO THE WILD which describes the true story of a 1996 climbing expedition to the top of Mount Everest, where three separate groups were hit by a sudden storm, which claimed the lives of eight climbers! The movie is being shot over in Nepal! 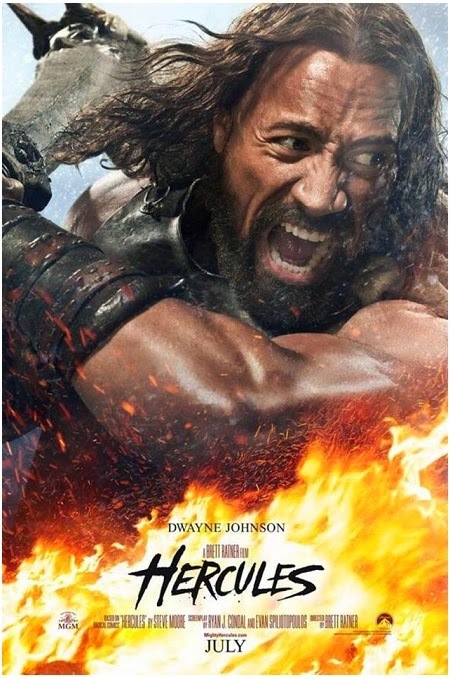 Oh, do I have the greatest treat for you today - the first long awaited trailer for Dwayne Johnson's HERCULES epic adventure is finally here along with the first poster for the movie which will sword its way into theatres this July 25th! 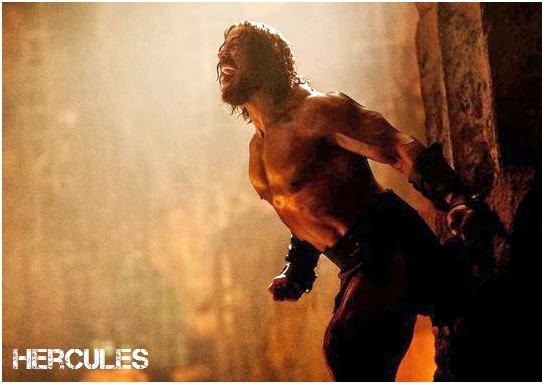 Directed by Brett Ratner this is the movie adaptation of Radical Publishing comic book in which, haunted by a sin from his past, Hercules has become a mercenary. Along with five faithful companions, he travels ancient Greece selling his services for gold and using his legendary reputation to intimidate enemies. 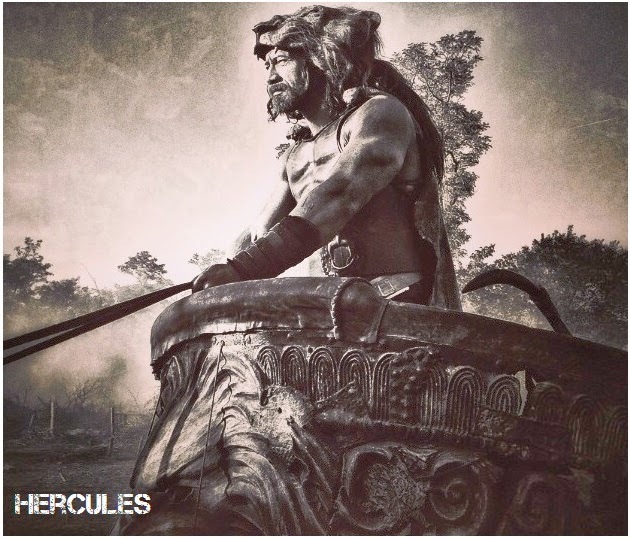 But when the benevolent ruler of Thrace and his daughter seek Hercules' help to defeat a savage and terrifying warlord, Hercules finds that in order for good to triumph and justice to prevail... he must again become the hero he once was... he must embrace his own myth... he must be Hercules! 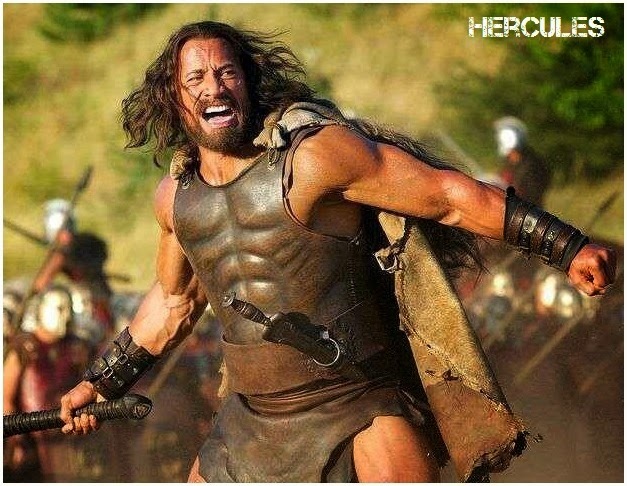 Beside Dwayne Johnson, who plays not only the titular character but also Zeus and Achilles, the stellar cast of HERCULES also includes Rebecca Ferguson from the WHITE QUEEN epic show as Thracian princess and a healer, Joseph Fiennes as the pampered king who assigns Hercules the tasks, Ian McShane as Amphiarus, a priest, prophet, and warrior who serves as Hercules' adviser, John Hurt as the weary ruler of Thrace, Rufus Sewell as Autolycus the son of the messenger god Hermes, Irina Shayk as Megara, Aksel Hennie as Hercules' axe-wielding sidekick Tydeus, and Tobias Santelmann as Rhesus, a barbarian revolutionary who faces off against the legendary hero! 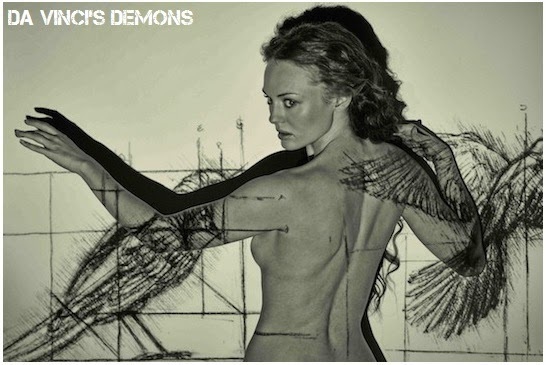 A true delight for you today - stunning new pictures depicting the main characters from the second season of mega successful historical adventure series DA VINCI'S DEMONS which just started at Starz and at Fox International Channels in more than 125 countries worldwide! 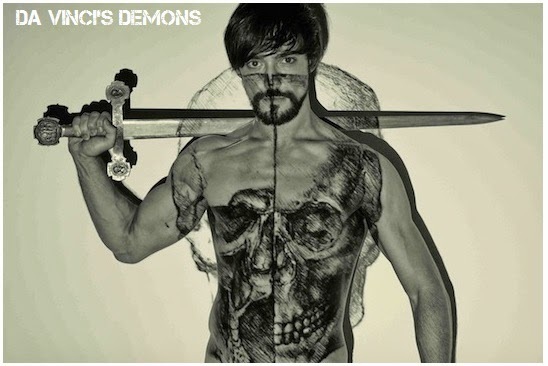 The return of the epic show sees Florence thrown into the chaos in the wake of the Pazzi conspiracy, Lorenzo (Elliot Cowan) is ill, and Leonardo (Tom Riley) must push the limits of his mind and body to defend the city from the evil forces of Rome. When the dust settles friends are buried and rivalries inflamed. While the Medicis go to unthinkable lengths to deal with new threats, da Vinci continues on with his quest to find the fabled Book of Leaves and uncover the secret history of his mother! He will come to realize that he has a lethal competition in his quest - new enemies who may be even worse than the forces of evil Pope Sixtus. His search will now take him to faraway lands and force him to reevaluate everything he knew about the world and his own history. First of all, Leonardo, his friends and even count Riario will end up all over in South America this time searching for the Book of Leaves where they will face themselves with the tribes of Incas controlled by Ima (Carolina Guerra), their High Priestess who is as strikingly beautiful as she is formidable and she has an influence over her people that even the emperor, Topa Inca, doesn't possess. She is the Daughter of Moon looking for the Son of Sun, and Leo might just be that little sparkly shine! One of the new characters will be King Ferrante played by Matthew Marsh. Feared leader of one of the most powerful nations in Italy, King Ferrante’s known to proudly display the mummified corpses of his enemies. Kieran Bew will play Ferrante's son, Duke Alfonso, the future king of Naples, who never loses sight of the power within his grasp. We shall also meet famous Amerigo Vespucci played by Lee Boardman. A purveyor of curious, Amerigo does a lucrative business in securing exotica for the wealthy. His connections prove valuable to da Vinci and his friends, but he’s always looking for a way to profit, sometimes at their expense! 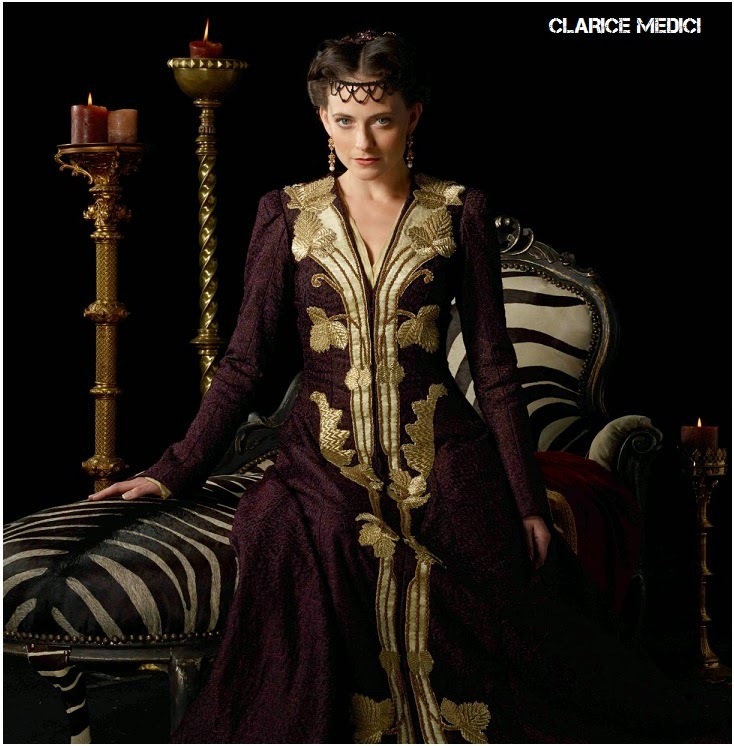 The structure of the ten episodes of the second season will not be overly linear which means we shall first see Lucretia Donatti (Laura Haddock) some ten years before the events from the first season while she was still a young and hopeful girl! And then back again in time, as an outed spy she will once more fight alone desperately trying to get her own revenge. The mysterious prisoner in Pope's prison (James Faulkner), who is supposed to be Laura's father and maybe even the rightful Pope, will have plans and cunning plots of his own! 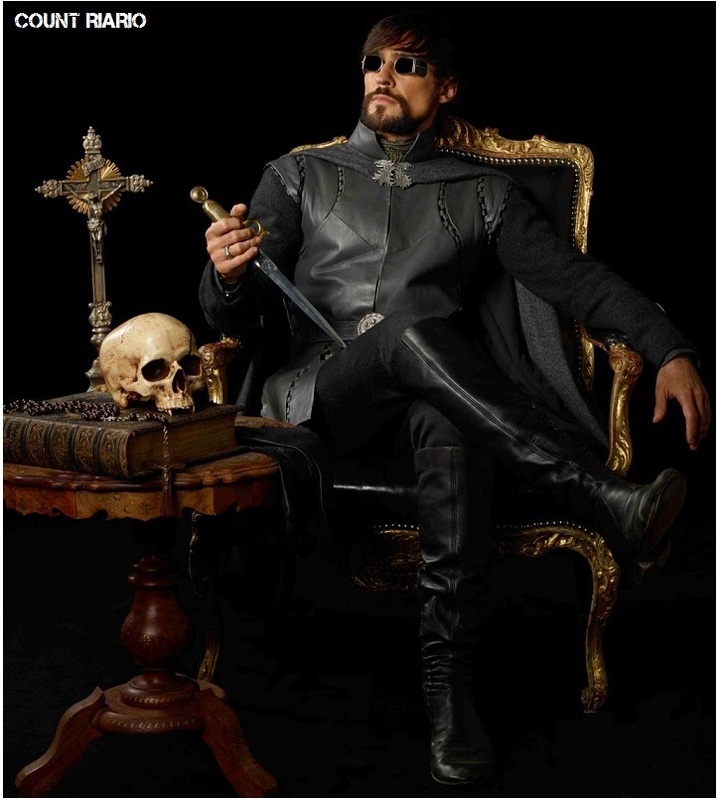 Meanwhile, Count Riario (Blake Ritson) will now also be more of a solo flyer who will follow Leo all the way over to Peru, where they will become something like frienemies! Apparently, he will have a love interest too showing his emotional side! 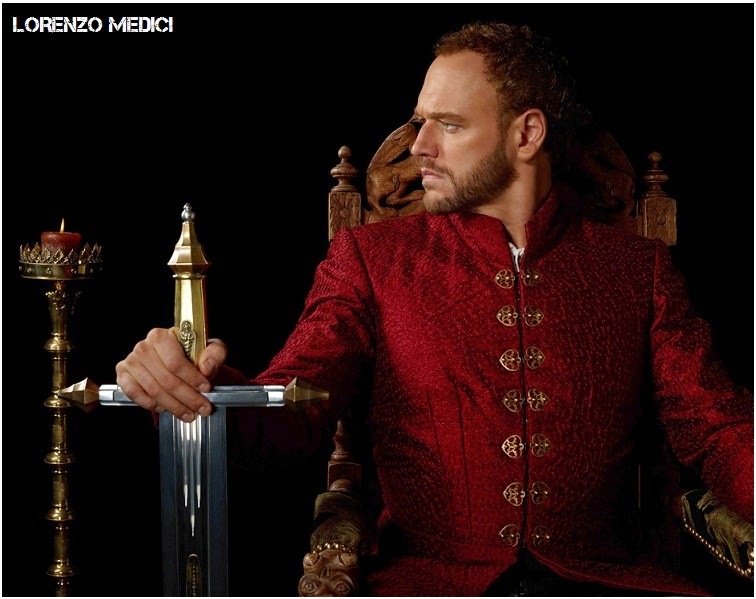 Lorenzo Medici (Elliot Cowan) will first survive the assassination and he will regain his leadership over Florence, but will end up arrested by King Ferrante. USA NETWORK ORDERS TWO NEW MEDICAL TV SERIES - 'RUSH' WITH TOM ELLIS, 'COMPLICATIONS' WITH JASON O'MARA! 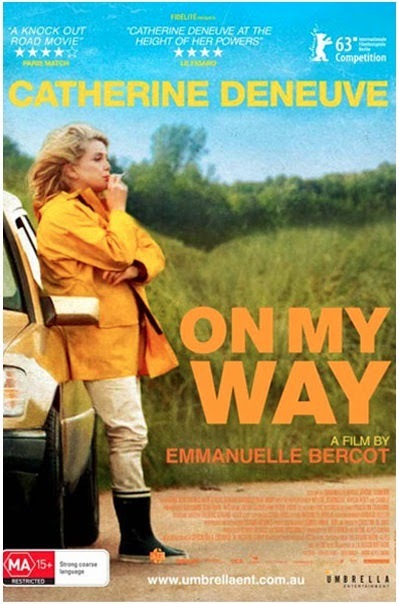 DELIGHTFUL 'ON MY WAY' TRAILER WITH CATHERINE DENEUVE! I myself don't watch them (I usually don't do crime and hospital shows), but we have two pieces of news from the genre of medical series. According to 'Deadline' USA Network has ordered ten episodes for two medical TV shows RUSH and COMPLICATIONS! The first one, RUSH, centres on Dr. William Rush (to be played by British hunk Tom Ellis who played Robin Hood in ONCE UPON A TIME), who is not your average on-call doctor: He’s not attached to any hospital, he’s highly discreet no matter what the ailment — as long as the client can pay his cash-only premium — and the doctor can party with the best of them. 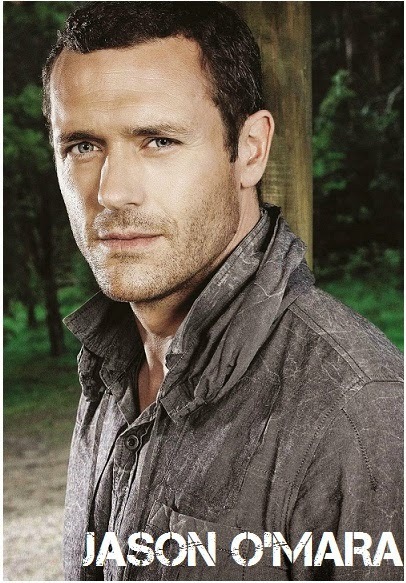 The other one comes from BURN NOTICE creators: COMPLICATIONS follows John Ellis (TERRA NOVA star Jason O’Mara), a disillusioned suburban ER doctor who finds his existence transformed when he intervenes in a drive-by shooting, saving a young boy’s life and killing one of his attackers. When Ellis learns the boy is still marked for death, he finds himself compelled to save him at any cost, and discovers that his own life – and his outlook on medicine – may never be the same. And here's a movie recommendation for you: ON MY WAY starring French actress Catherine Deneuve as Bettie, a harried restaurant owner from Brittany who is an aging former beauty queen with an estranged adult daughter and grandson and an elderly mother who meddles in her life. She loves a married businessman who always told her he would divorce his wife in order to marry her. He indeed files for a divorce, but Bettie discovers that it is actually because he is also having another affair with another much-younger woman. At about the same time, the bank threatens to close down her restaurant. When she goes out to run some errands, she impulsively decides to leave her former life behind. She takes her car and just keeps on driving. She discovers other parts of France and makes new friends in the process. The film is currently in limited release in USA! 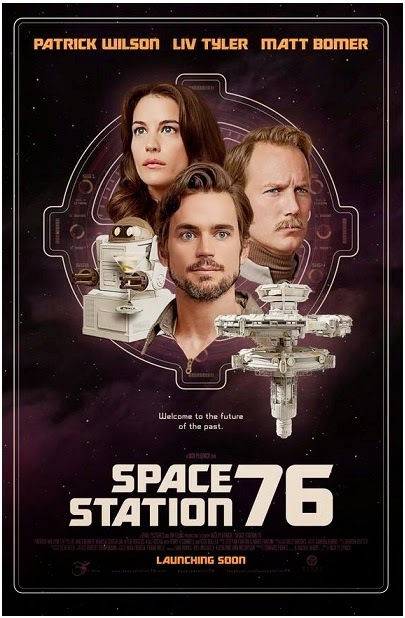 First to be presented in our Indie Films Sunday is a rather interesting science fiction movie SPACE STATION 76 which has already received some rather good criticism. With amazingly gorgeous and stellar cast featuring Patrick Wilson, Matt Bomer, Jerry O'Connell and Lyv Tyler it is a character driven, sf dramedy, which takes place in a 1970's version of the future, where personalities and asteroids collide. Patrick Wilson plays Captain Glenn, the space station's deeply unhappy leader, who drinks to forget a secret gay relationship with a former co-worker. Lyv Tyler is Jessica, that man's replacement, whose professionalism makes her stand out in a crew, while Matt Bomer plays Ted, a maintenance man who fills the void in his love life with a hidden stash of pot, and has fantasies about Jessica! Jack Plotnik directs. 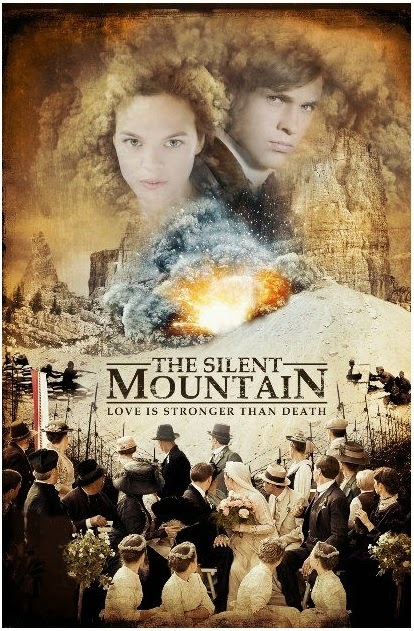 If you are more in the mood for something historical rather than space oriented, you might be interested in THE SILENT MOUNTAIN, adventure and romance drama to be released sometime this year. 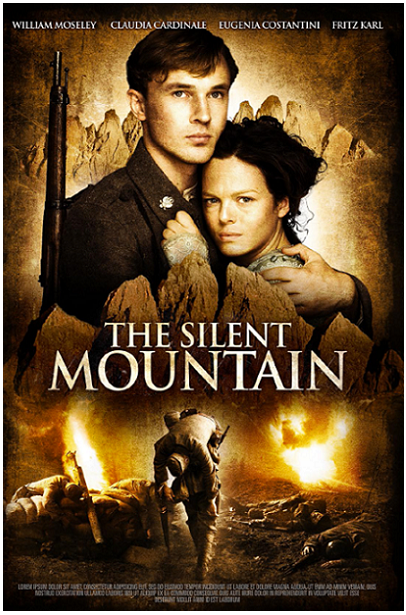 Starring CHRONICLES OF NARNIA star William Moseley, and Italian legend Claudia Cardinale, this is a sweeping war drama bringing a thrilling love story set in the spectacular Dolomiti Mountains at the outbreak of WWI between Italy and Austria-Hungary in 1915! Tirolean lad Anderl Gruber meets his very first love Italian beauty Francesca Calzolari on the day when the war breaks out between their two countries. It is interesting that the shooting of the movie went through many troubles: while shooting at the mountains both Moseley and a camerawoman were struck by lightning with her optical nerve getting burnt because she was looking through the viewfinder at the moment. Later on a battlefield set was destroyed and flushed into a nearby river by a mud slide. 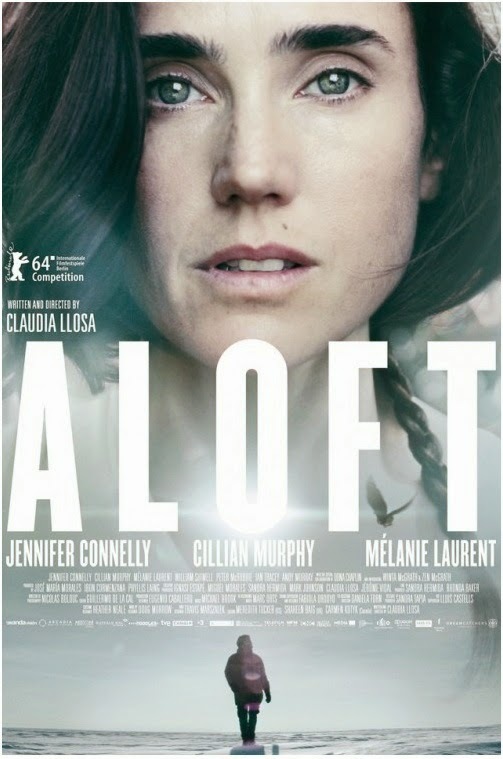 And here is something equally haunting and sad: ALOFT premiered at Berlin Film Festival starring Jennifer Connelly, Cillian Murphy and Melanie Laurent. Told in two different periods, the film sees Connelly portraying a struggling mother of two young sons who becomes a renowned artist and healer. Twenty years later, a journalist (Melanie Laurent) tracks down the son she abandoned, and sets up a meeting between them. Cillian Murphy plays the son as an adult. Don't forget to check out the clip below with a shocking ending! 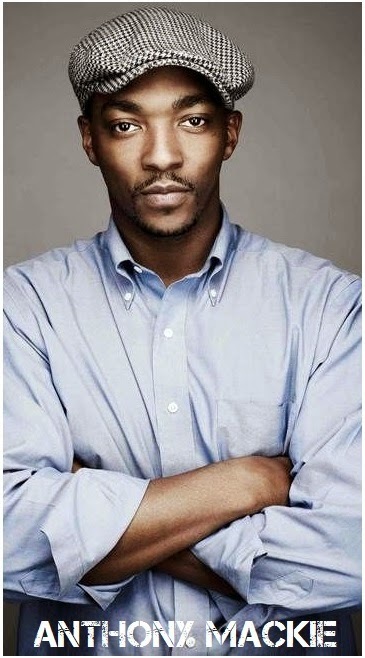 According to 'Variety' the latest one to join the already star studded cast of TRIPLE NINE crime thriller is the Falcon himself - Anthony Mackie from CAPTAIN AMERICA! 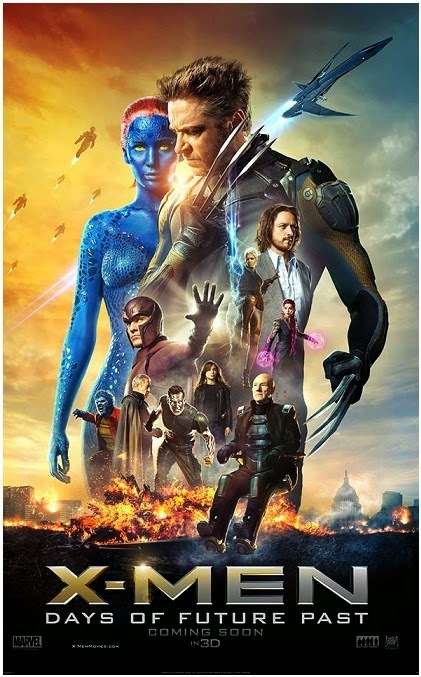 The film, which features an ensemble cast including Kate Winslet, Chiwetel Ejiofor, Aaron Paul, Michael B Jordan, Teresa Palmer, Gal Gadot, Woody Harrelson, Casey Affleck, will revolve around a group of corrupt cops who are blackmailed by the Russian mafia to pull off an extremely dangerous heist by manufacturing a 'triple nine' - the police code for 'officer down'. John Hillcoat (THE ROAD, LAWLESS, THE PROPOSITION) is directing! Over in TV world, British actor Shaun Evans (ENDEAVOUR) has just scored the lead role in Amazon's new sitcom COSMOPOLITAN in which the story will chronicle the loves and adventures of a group of young expatriates in Paris. 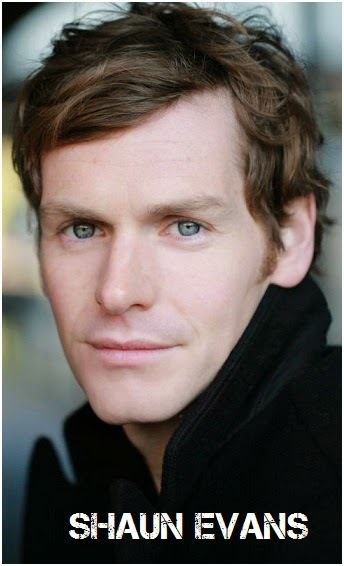 Shaun Evans will play Hal, a divorced, good-looking but somber young man who’s struggling with his most recent heartache in the company of his two best friends, fellow American Jimmy and European Woddy, who’s less than sympathetic. And yet another famous comedian from previous decades who will return to TV is Tracey Ullman who's just been cast in CBS comedy pilot GOOD SESSIONS which will follow a happy couple, Joel (James Roday) and Lindsay, who go to a therapist to help them decide if they should have a baby but quickly discover they have more to discuss. Ullman will play Ellen, the astute, straightforward therapist who uses her own brand of insight and humor to inspire the couples she helps to tell the truth. 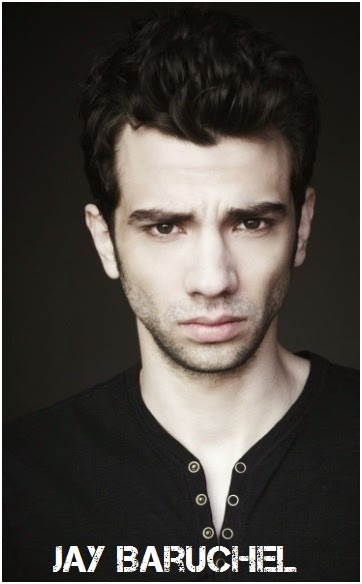 Another charming comedy can be expected over at FX in MAN SEEKING WOMAN which will see Jay Baruchel playing Josh Greenberg, a naive romantic on a desperate quest for love. When his longtime girlfriend dumps him, Josh enters the dating scene, a nightmarish hellscape of untold horror. Based 'The Last Girlfriend On Earth' by Simon Rich, new sitcom, described as a sweet and absurd look at life-and-death stakes of dating, will also star Eric André as Josh’s cocky best friend, Britt Lower as Josh’s intimidating sister and Maya Erskine as the ex-girlfriend who broke Josh’s heart. According to 'Deadline' action movie director Doug Liman, who is no stranger to spy thrillers and movies about super agents, will helm the movie adaptation of popular video game SPLINTER CELL which already has Tom Hardy in the lead role playing Sam Fisher, a highly-trained special operative in a fictional black-ops sub-division, “Echelon”. Sam Fisher and the agents of Echelon utilize combat skills, weapons and cutting-edge gadgets to neutralize international terrorist threats and rogue forces in modern, realistic stories ripped from the headlines. Hardy and Liman are already working on another mutual project - EVEREST movie on a famous mounting scaling expedition. And after the recently announced return of Bill Cosby to TV, and recent returns of Robin Williams and KIRSTIE comedy legends to the small screens, and with Jane Fonda and Lily Tomlin also taking a gig on TV, another comedy veteran to do a sitcom is Billy Crystal: FX has picked up his THE COMEDIANS comedy show for a whole series. Crystal will play a superstar veteran comedian who is reluctantly paired with a younger, edgier comic (Josh Gad) for a late-night comedy sketch show! 'STEP UP: ALL IN' TRAILER! 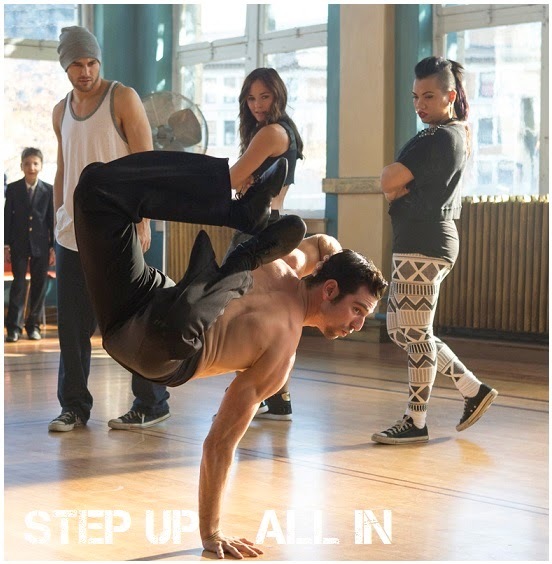 And here's a delightful trailer for you today: the first one for long awaited new sequel STEP UP: ALL IN which is the fifth all star instalment in the legendary dance movie franchise which has earned more than half a billion dollars around the world so far! To dance its way into cinemas this July, the movie will see the return of several franchise veterans with Ryan Guzman, Briana Evigan, Alyson Stoner, Adam Sevani and Christopher Scott leading the cast.This time, all those mindblowingly and scorching hot dancers will battle with their best out of this world choreographies over in Las Vegas! CHANNING TATUM IS 'THE SON'! 'THE GIVER' TRAILER WITH MERYL STREEP, TAYLOR SWIFT, ALEXANDER SKARSGARD, BRENTON THWAITES! JANE FONDA, LILY TOMLIN IN NEW SITCOM! ZHANG YIMOU TO HELM 'THE GREAT WALL' EPIC! Young star Channing Tatum might star and also direct the movie adaptation of THE SON novel by Jo Nesbo which will be released in USA this May! The story centres on a young man who is in prison for confessing to crimes he didn't commit. When his father, who is believed to be a corrupt cop, allegedly commits suicide, the young man finds out that his dad was really an honest man and was murdered, causing him to break out of prison to avenge his father's death, while trying to rectify the crimes he confessed to. And here's a great casting: Jane Fonda and Lily Tomlin will play GRACE AND FRANKIE in a 2015 Netflix sitcom from FRIENDS creator Marta Kauffman in which they will portray two long-time rivals who find their lives undesirably intertwined when their two husbands announce their love for each other. A project which has been postponed has gotten a new director: instead of Ed Zwick THE GREAT WALL epic movie will now be helmed by Zhang Yimou (CURSE OF THE GOLDEN FLOWER, HOUSE OF FLYING DAGGERS)! Henry Cavill and Benjamin Walker were previously meant to play two British soldiers travelling through 15th Century China, who witness the Great Wall of China's construction. They learn that the Chinese are not building the wall to keep out the invading Mongol forces, but to keep an evil supernatural force at bay. Over on TV Maggie Q has joined Dylan McDermott in new CBS untitled drama pilot! the psychological thriller revolves around two detectives, Beth (Maggie Q) and Jack (McDermott), who handle stalking incidents for the Threat Assessment Unit of the LAPD. Detective Beth Davis is the opinionated and obsessive, workaholic Division Captain of LAPD’s Threat Assessment Unit who also narrates the story. As you know Maggie will also star in RED FLAG historical mini series playing a Chinese pirate queen! The first trailer for the big screen movie adaptation of science fiction young adult novel THE GIVER by Lois Lowry has been released! Starring Meryl Streep, Taylor Swift, Brenton Thwaites, Alexander Skarsgard and Jeff Bridges, and hitting theatres this August, the movie is set in a seemingly perfect community, without war, pain, suffering, differences or choice, a world where pain, suffering and emotion have been eradicated after society converts to "Sameness". A boy called Jonas (Brenton Thwaites) is selected to become the community's next "Receiver of Memory", the person who holds all past memories.